Founded in 1936, Quinebarge serves up to 175 boys and girls per session in a traditional overnight camp environment. 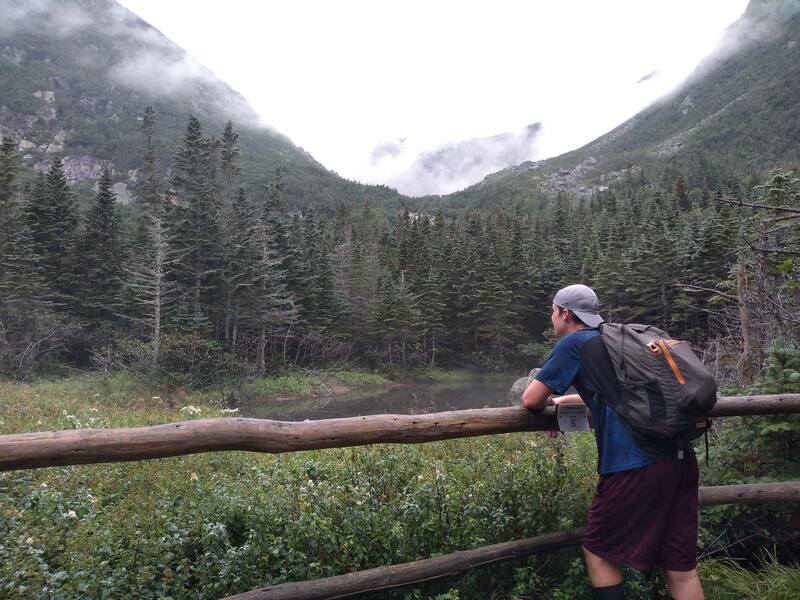 Many of our activities – particularly sports, climbing, boating, archery, and woodworking – are updated versions of classic camp activities we’ve offered since the very beginning. Within our camper’s choice, all-elective activity schedule, woodworking is a perennial favorite. Woodworking is something rarely seen outside of summer camp these days. 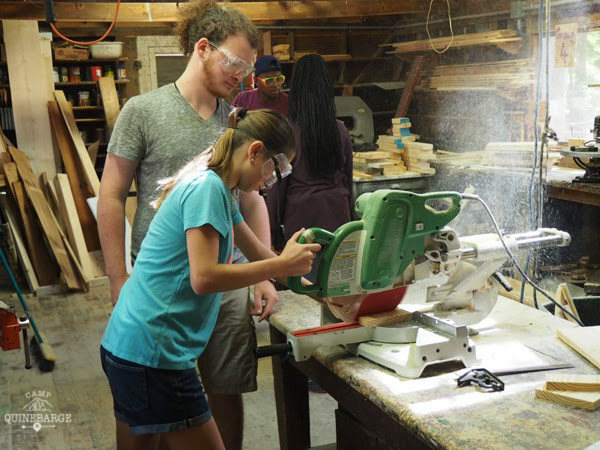 To us, it’s more important than ever to introduce campers to woodworking, empowering them through creating their own projects. Campers are led by qualified, dedicated staff to ensure safety, but the creative side of each project is largely independent. Campers lead the way from the design phase through finishing, and inevitably come up with more creative projects than we could plan ourselves. At the end of their session, campers take home their creations – from shelves to plaques, jigsaw puzzles, and even shoe racks – and display them with pride. 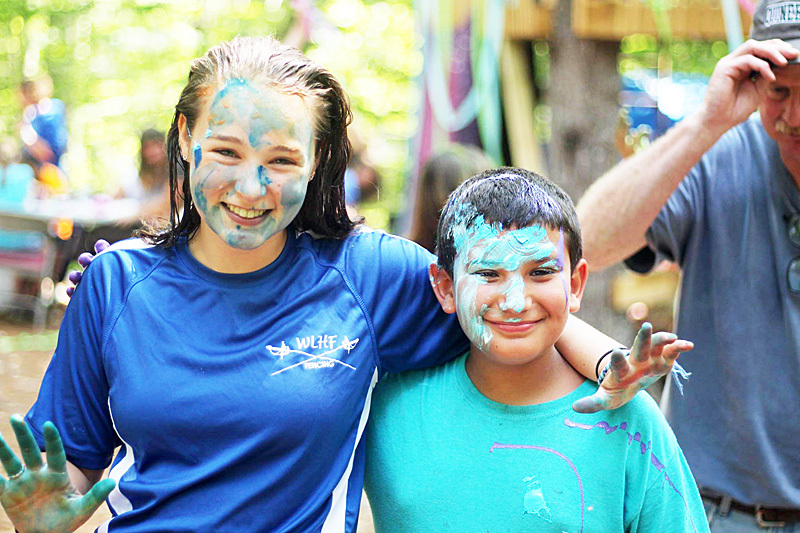 Our values boil down to two themes at Quinebarge: fun and friendship. Allowing campers to choose their own activities ensures that campers do what they love, with peers who share their interests. Quinebarge, unlike hyper-specialized programs, fosters and encourages friendships from day one with ice breakers, team building, and other bonding experiences. Your child will go home with new skills and memories, and new friendships that will last a lifetime.